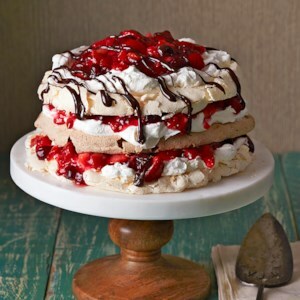 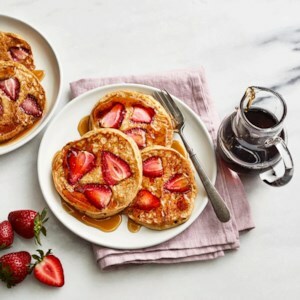 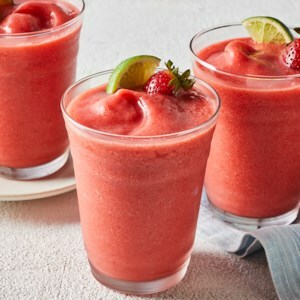 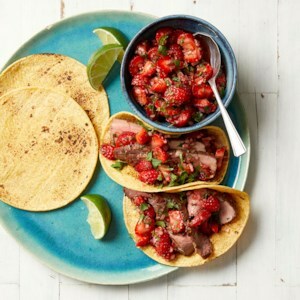 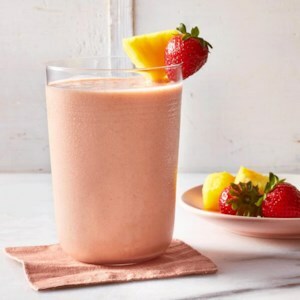 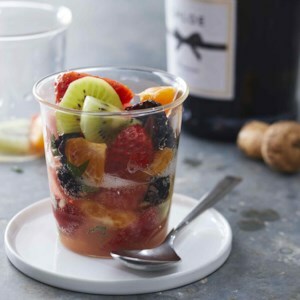 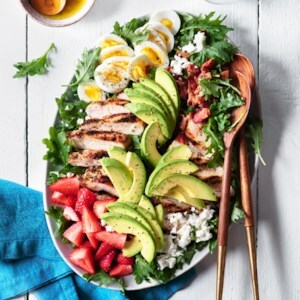 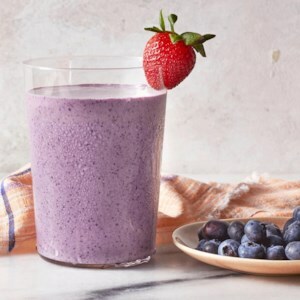 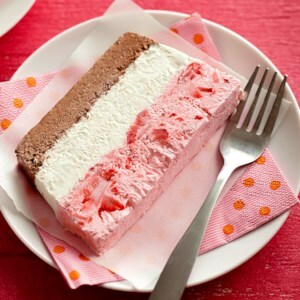 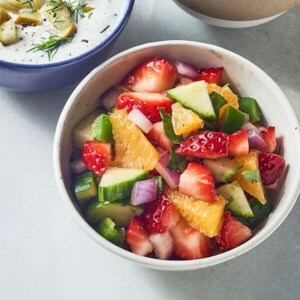 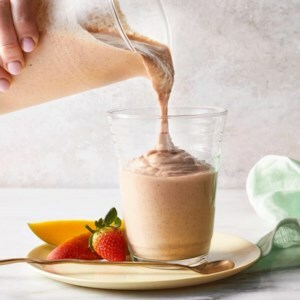 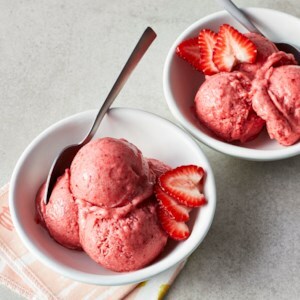 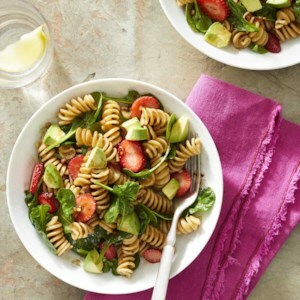 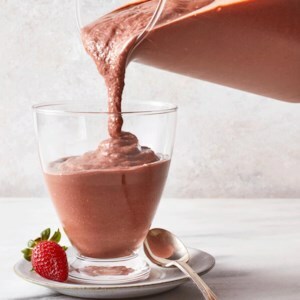 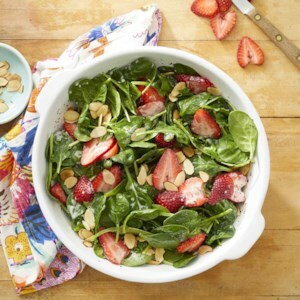 Find healthy, delicious strawberry recipes, from the food and nutrition experts at EatingWell. 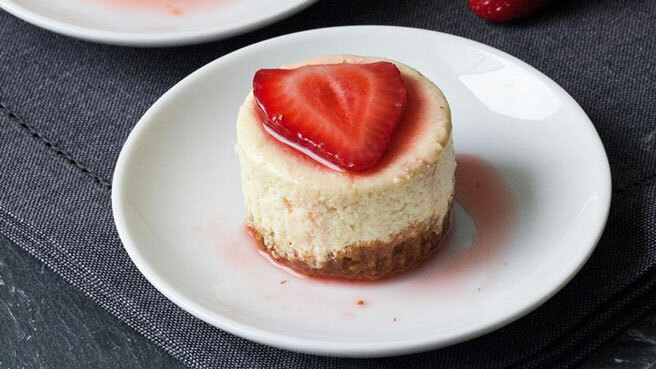 These mini cheesecakes aren't just adorable—made in a muffin tin, they're quicker to make than traditional cheesecake and perfectly portioned. 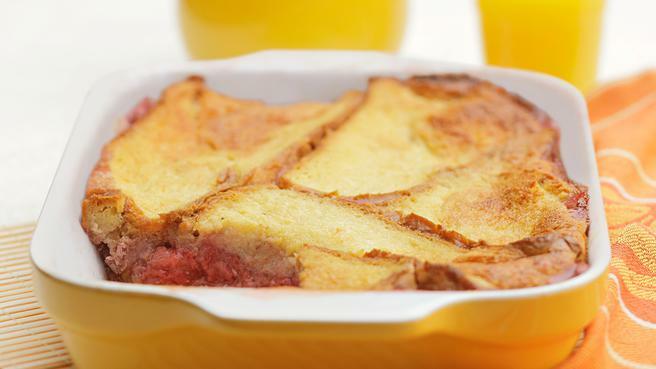 Studded with strawberries, this breakfast recipe is a cross between a baked French toast and a dessert bread pudding. 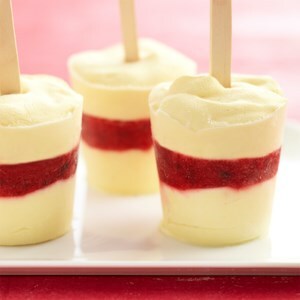 Strawberries and rhubarb are a match made in heaven and classic combination for pies, cakes and fruit bars. 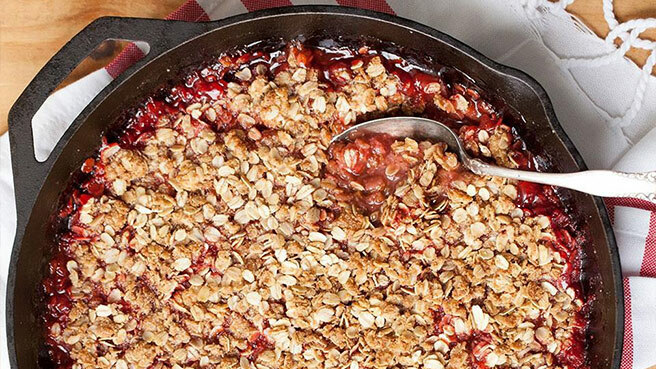 The sweetness of strawberries helps to balance and mellow the zingy tartness of rhubarb. 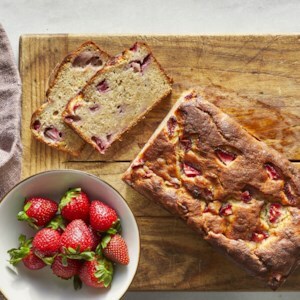 Celebrate the spring’s best combo with these delicious strawberry-rhubarb recipes. 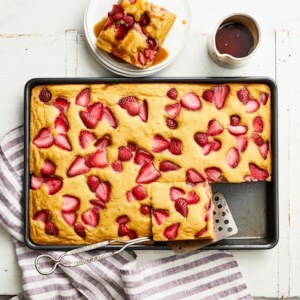 Enjoy vitamin-C-rich strawberries in these sweet and savory recipes. 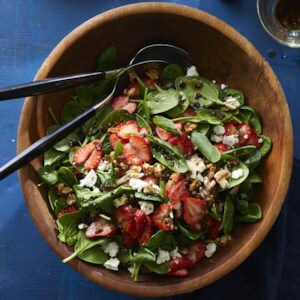 Welcome warmer weather with one of our fresh, strawberry-studded salad recipes, from a spinach salad with feta and walnuts to a breakfast salad with kale and quinoa and everything in between.